Description Printed from the glass plate negative. See 676b. Photo taken by Will Bickner. Water spots. Written on the negative sleeve: R.R. 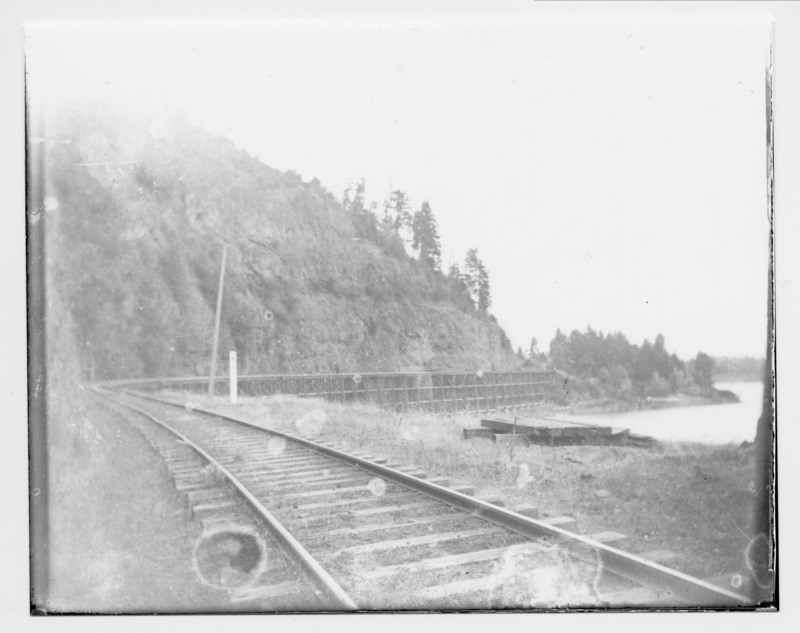 Track & Elk rock Trestle. Physical Description H 4: x L 5"